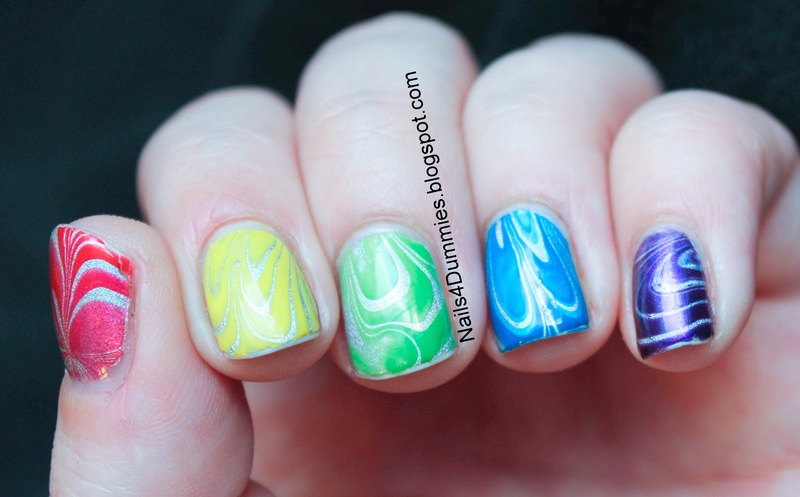 Nails 4 Dummies! 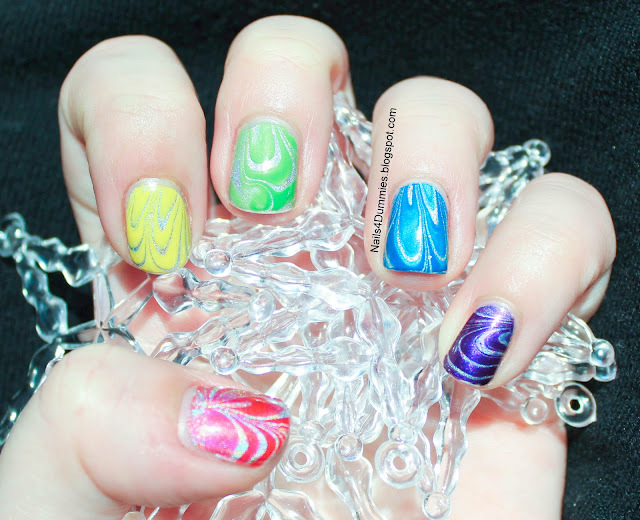 : Holo Watermarble! Hey lovely people!! Ugh, I'm sorry I've been such a lame blogger! With work being crazy and the baby still sick, life has been super insane around here! 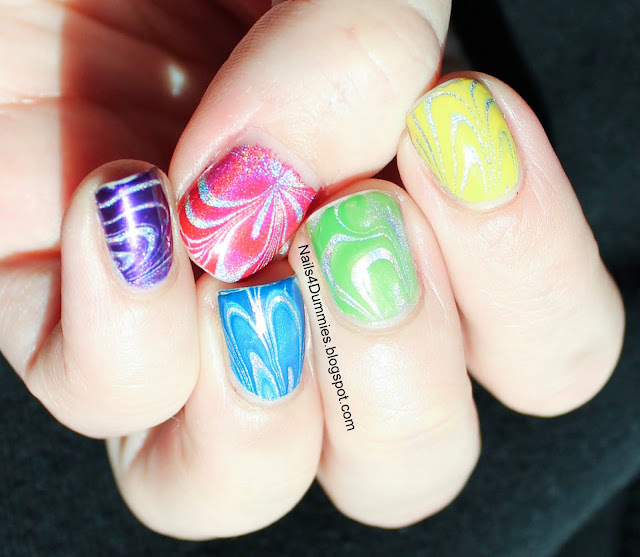 With that said, I have a super-delicious mani to share with you today! When I put on Color Club Harp On It, the holo goodness was so awesome, I knew that I wanted to do something amazing with it. So what's a girl to do? WATERMARBLE!!! 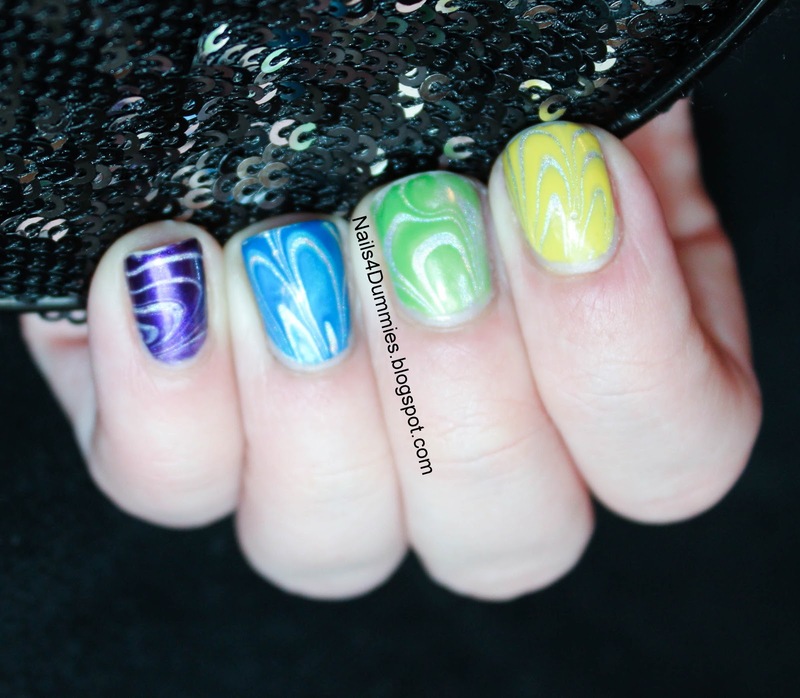 From thumb to pinkie, the colors used are: Bettina Glamour Flame, Bettina Art Deco Yellow, NYC In A Minute High Line Green, Barry M Indigo and Sally Hansen Insta-Dri Acceler-Grape! It took me forever to get the polishes to play nicely with the clear coat (which was INM Out The Door) and spread properly but I'm pretty happy with the finished product. What do you guys think? I hope to see you soon! 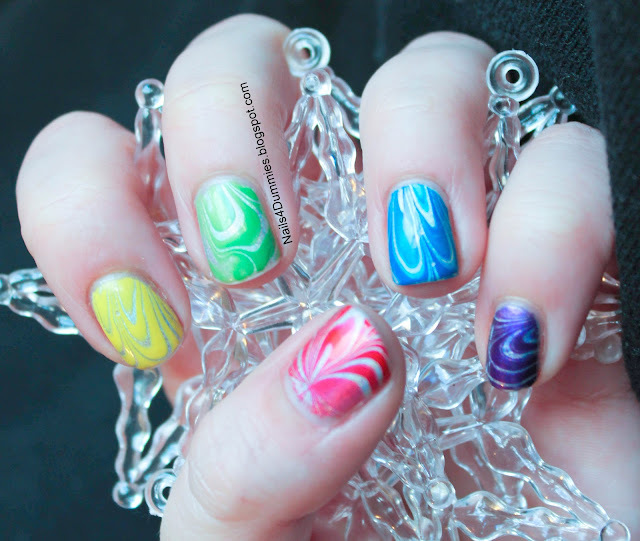 I wish I had your water marble skills. As always, amazing! This is stunning! I'm too afraid to even try water marbling so good for you! 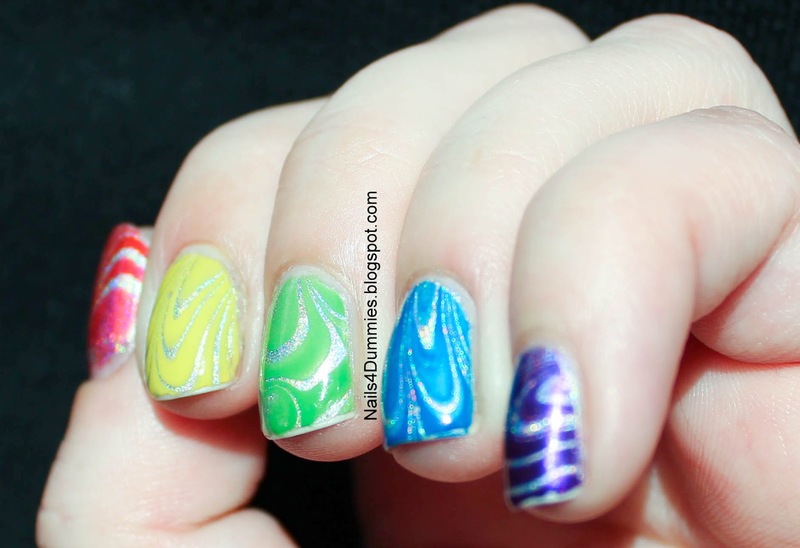 That is an awesome water marble! This looks so cool :) hope your little one is feeling better. This is amazing! I MIGHT have to try this even though past attempts have been iffy at best!